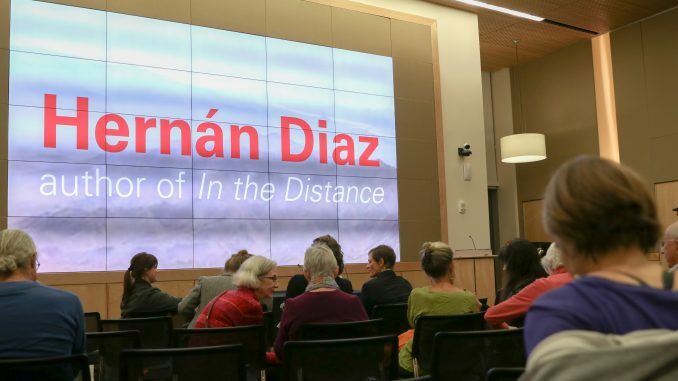 Hernan Diaz remembers his first poem as “horrible.” But, he said, it helped him understand that words can be useful beyond everyday communication. 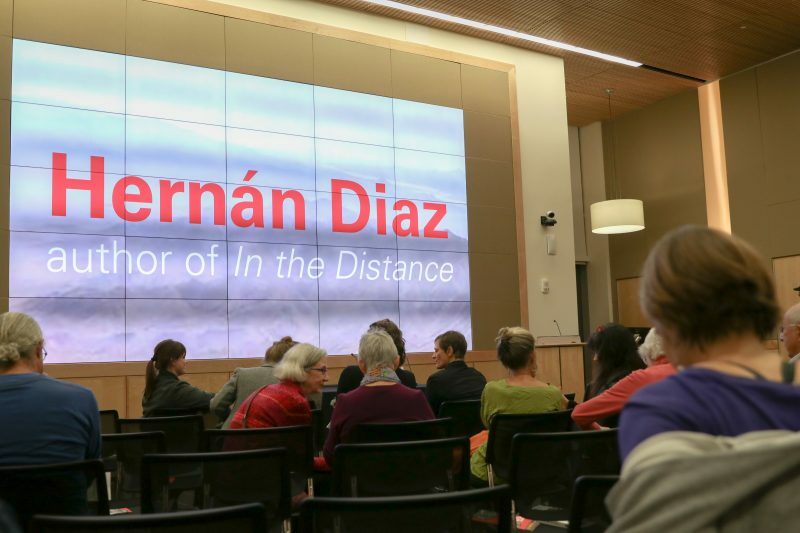 Diaz, who is now a finalist for the Pulitzer Prize and the PEN/Faulkner Award for fiction for his novel “In the Distance,” is also the winner of the VCU Cabell First Novelist Award. His experience with language has been unique. Born in Argentina, his family moved to Sweden when he was two years old because of the military coup, meaning Swedish is his first language. Diaz’s family later moved back to Argentina where he stayed for a few years before moving to London. He’s lived in New York for the last 20 years. “In the Distance” captures what Diaz describes as a triangle of absolute disorientation, foreignness and loneliness. The plot takes place in the American West in the 1850s during Manifest Destiny. When Håkan, a Swedish immigrant, is separated from his brother, he finds himself lost on the West Coast trying to make his way to the East, fighting the current of Western migration. Diaz was living in London when he started writing the novel. By coincidence, he read a variety of novels that took place in the western U.S., but were from different canons of literature: Russian, Argentinian, American and Italian. The most obvious difference between “In the Distance” and typical westerns is that the character is traveling East during a time in which western migration was taking place. The horses in the book are sick, slow and dying, rather than fast and strong. The characters are not good at shooting and the guns are rusty and broken. The role of women is also questioned in the book. Diaz wrote a significant portion of the book so that the reader would be equally as confused and disoriented as Håkan by writing from his perspective. For two-thirds of the book, Håkan does not understand anything that is being said around him. “Sticking to his point of view was a way for me to explore his utter disorientation — linguistic disorientation, temporal disorientation, spatial disorientation and solitude,” Diaz said. Diaz began writing the novel during President Obama’s first term and he finished it in July of his last year in office. The book deals heavily with immigration and foreignness, and had Diaz written the book during the political climate we now find ourselves in, he is not certain how it would have changed the novel. When it came to choosing the name for the main character, Diaz said he wanted something that would not bring too much attention to itself as Håkan is a fairly common name in Sweden. However, it is still confusing. Diaz’s unconventional writing process allowed him to create a piece of literature that is completely unique to his own experience and, as a result, Håkan’s.